one of the most renowned travel destinations in Southeast Asia and the world. Mount Yushan, commonly known as the Jade Mountain is the highest summit in northeast Asia and one of the principal Taiwan Attractions. Together with other sightseeing regions like Mount Yangming, the Sun and Moon Lake and Mount Ali these are a handful of popular Taiwan Attractions, inviting huge worldwide tourists every season. Extensive skating, skiing and other recreational activities enhance the familiarity of these destinations million fold. 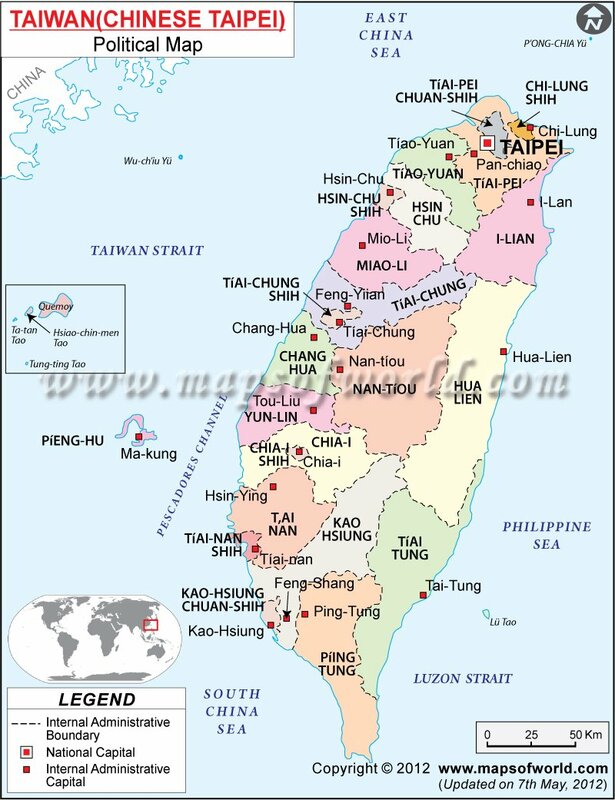 The abundance of attractions in Taiwan has conferred the title of "Treasure Island" to this Southeast Asian country. The beautiful coastal regions are some of the greatest natural assets of Taiwan, adding to the beauty of the island, with golden beaches characterized by vast stretches of sand. The Northeast Coast National Scenic Area, North Coast and Guanyinshan National Scenic Area feature diverse coastal topographies, forming popular tourist attractions in Taiwan. Traditional museums like the National Palace Museum, located outside the Taipei City, is not only example of Taiwanese architecture but the home of 5000 years of Chinese history. With its finest collections of Chinese Arts, it is among the numerous Taiwanese Attractions, diverting huge tourists during each peak season.